Located 200 miles from our office in beautiful Greenville, SC, Canal offers broad coverage for both large fleet accounts and smaller non-fleet risks. WEL is very widely appointed with Canal with continuous appointment since 1957. IAT Insurance Group is headquartered in Raleigh, NC, less than an hour from our office. WEL enjoys a vibrant relationship with IAT in twelve key states. IAT is very responsive with great underwriting talent in the trucking insurance area. Also, IAT top management is experienced, focused and well-respected. Nationwide E&S/Specialty was founded in the same year as WEL, 1982, as Scottsdale Insurance Company. With a continuous “can do” culture, direct written premium has passed $3,000,000,000 annually. WEL is proud to represent Nationwide Specialty nationally for 50+ units and in five key states for all size accounts. We intend to do our very best work for them on your behalf. With underwriting offices in Philadelphia, Westchester Transportation offers WEL three different Transportation focuses covering many important risk opportunities. As part of the Chubb insurance family Westchester enjoys immense resource and capability. Hazardous materials, preferred risk and substandard risk program focus give WEL a wide risk appetite and broad geography for potential clients. This fine privately held Atlanta based insurer is expertly managed by experienced and bright staff. WEL has enjoyed a wonderful relationship with American Southern for 20 years. Founded in Burlington, NC, CCIC has been headquartered in Jacksonville, FL since 1959 and today is part of W. R. Berkley Corporation. “Carolina” specializes in both long and short radius trucking with the ability to look at many risk types. .
One of our Country’s premiere Inland Marine Carriers, WEL has represented GAIC through their Charlotte, NC office for over 20 years. We have broad underwriting authority in most states. 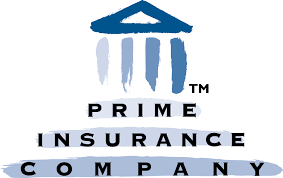 Prime Holdings Insurance Services, Inc. was founded in 1992 as a holding company for a suite of excess and surplus lines insurance service companies. Today, Prime Insurance Company, Inc. writes E&S business in all 50 states and is rated A (excellent) by A.M. Best. Our workers’ compensation alternative market for high modification risks seeking a solution to escalating work comp premiums. For risks generating 40,000 or more in premium where the comp rate is > $8.00 and the experience mod is greater than 1.0 Pride Risk offers a superior A rated facility and great approach that appeals to us and our clients. National General is located in Winston-Salem, North Carolina. National General is expanding into many popular markets providing coverage for a wide variety of risk. National General also has the ability to offer many competitive discounts, flexible pay plans, and extraordinary speed. National General often operates in real-time to get us all the answers we need now.